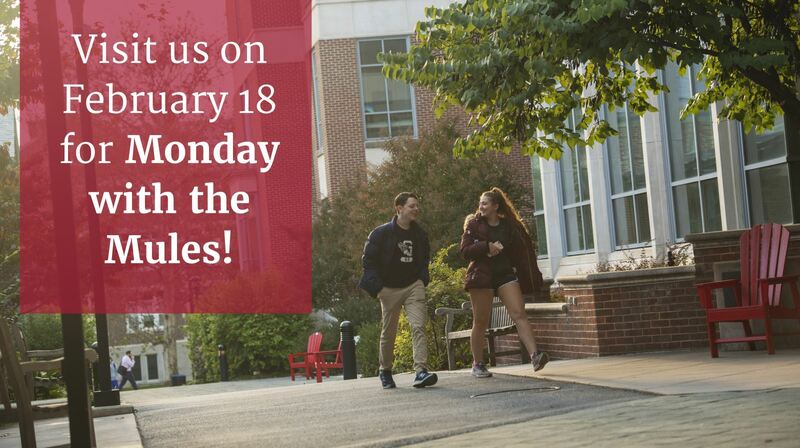 We hope to see you for Monday with the Mules on February 18, 2019. Get an in-depth look at our campus from the perspective of current students! The day will offer various times for campus tours and information sessions as well as academic panels hosted by our students at 1:00 p.m. Be sure to join us for lunch, too!